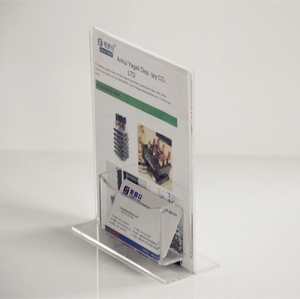 Acrylic branding block with graphics slot to insert your business card, printed graphic or pricing information. 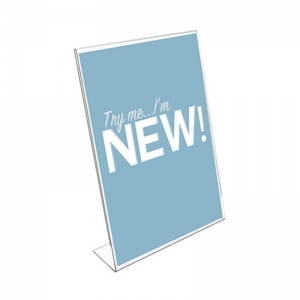 Perfect for retail areas for product promotions, or for displaying your business card. Unique Style Acrylic Photo Frame with magnet corner for picture or photo display. Approx. 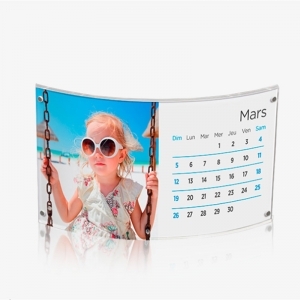 Size of the Photo Cube: 10 cm x 15 cm Or Customized Size. 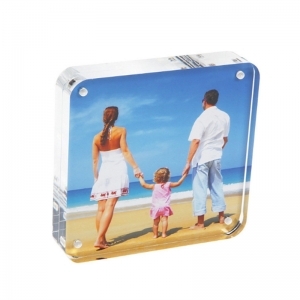 Factory Made Acrylic Cube Photo Frame with magnet lid for picture or photo display. Approx. Size of the Photo Cube: 10 cm x 10 cm Or Customized Size. Size of the photos: 9.3 cm x 9.3 cm or as per your requirements. Wall hanging Acrylic Frame For Photo, Poster, Certificate or Artwork Display. The whole size is 38 cm x 25 cm or Customized as per the requirements of the clients.